Most of you would've already noticed by now the banner I put up on my sidebar. For a while it just linked back to my homepage, but now that I have a bit of time, I've linked it to the page I just created. 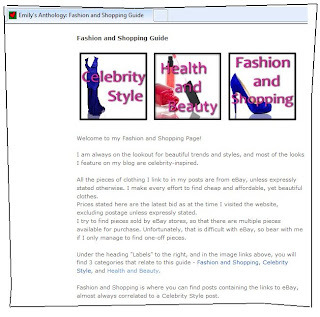 It's not much, just a little summary of the Fashion and Shopping posts on my website. Just so people know what I'm doing. 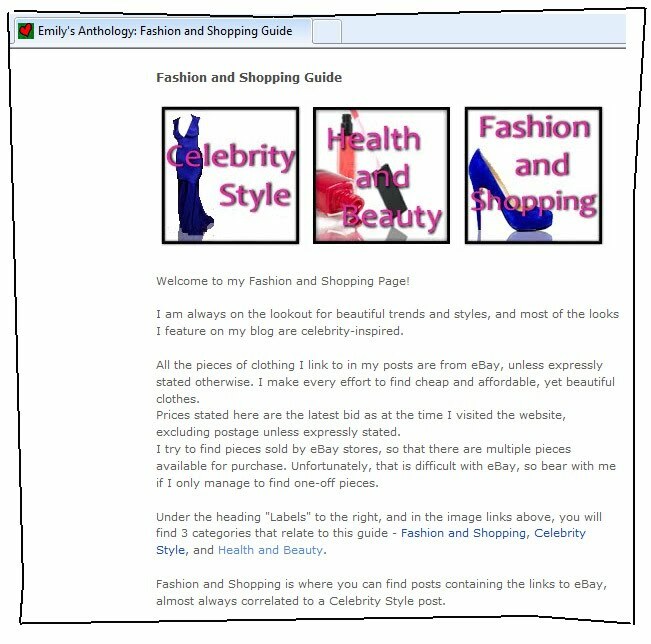 I also created little images that link to the different labels that relate to fashion and shopping.